Alien Robot Zombies: Fantastic for fans? The sad truth was that this film was doomed from the beginning. Fantastic Four is a difficult property to translate into film, and Fox didn't know what to do with it. They hemmed and hawed until the deadline for the rights to revert, then they rushed into production half-cocked. If rumors are to be believed, the film had production troubles from the beginning, with the studio and director engaged in an epic clash of wills over changes to everything from script to budget to final editing. And the result was a film that no one wanted, no one liked, and ultimately very few people paid to see. The best chance to successfully adapt these characters to the silver screen lies with Marvel Studios. Marvel has already done the heavy lifting of establishing a light-sci-fi shared universe that would ease a lot of the need for exposition as well as automatically setting the right tone. While Marvel movies made by other studios have been hit-or-miss, Marvel Studios have a 100% success rate, finding box office gold even with such obscure characters as the Guardians of the Galaxy and Ant-Man. Audiences love the Marvel Studios brand, and the shared universe that they have established. What's more, it sets exactly the right tone for a property as goofy as the Fantastic Four: exciting action with just a touch of goofy comedy. One need look no further than the Guardians of the Galaxy to see why the Fantastic Four would thrive in the Marvel Cinematic Universe. You could even skip the origin completely (something you'd have to do now, considering that we've already had two failed attempts at that) like Marvel Studios is doing with their Spider-Man and Doctor Strange films. The shared universe allows you to pepper those details as flashbacks across multiple films. Best of all, Marvel Studios could sensibly use Fantastic Four supporting characters like Galactus, Silver Surfer, Annihilus and Super Skrull without having to first introduce the Fantastic Four heroes themselves. They would have breathing room -- the one thing Fox needed more than anything and had none of. It would make sense for Fox to return the rights to Marvel Studios now and try to get something in return. What can Fox get, though? It won't be enough for them to offer to share the franchise a la Marvel's deal with Sony over Spider-Man. 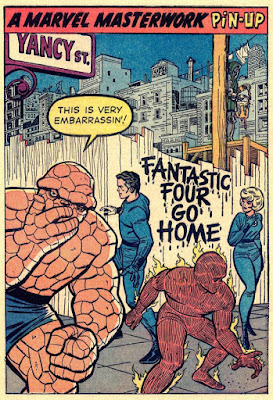 The Fantastic Four just don't have the mass appeal of Spider-Man, so there's no incentive there. Marvel Studios does have something Fox wants: the rights to make a live-action X-Men TV series to extend the one Marvel franchise that Fox has made successful. The main question is: after poisoning the well, does Fox have anything left that Marvel Studios wants? They're pretty much guaranteed to get the Fantastic Four rights back eventually, but maybe they'd be more eager to get them now than later if Fox is willing to play ball. Hopefully, whatever deal comes out of this, it will bring the two studios a little closer in their vision regarding their Marvel properties. Disney (which owns Marvel Studios) and Twentieth Century Fox have been combative in their dealings over most things. But I'm never going to get my Hulk vs. Wolverine crossover until the healing begins. Let it start now. P.S. 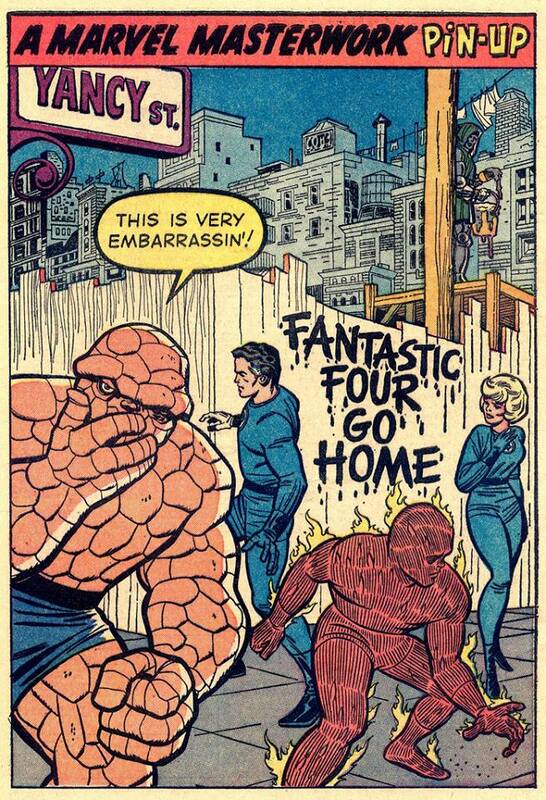 -- For the record, I did not go see the new Fantastic Four film. I'll wait for the "Network Television Premier"! In the meantime, I watched the unreleased Fantastic Four movie that Roger Corman produced in 1994. You can watch it below for free on YouTube. It is cheesy as hell and was made on a shoestring budget just to retain the film rights. However, it remains the best Fantastic Four movie made to date. Sigh. A friend of mine loves playing Football and I am sure he will be interesting in reading this. Guess I'll forward this post to him right away.